Experts in medical concerns, nutrition, fitness, and mental health and stress issues are available for unlimited free phone consultations. How does Wellness Partners work with you and your employees to improve health, prevent disease, and decrease healthcare costs? Our Health Risk Assessment is based on helping participants move toward optimal health, rather than only assessing and removing practices that are dangerous to their health. It is a useful tool that helps your participants identify unhealthy trends and provides realistic goals for improvement. 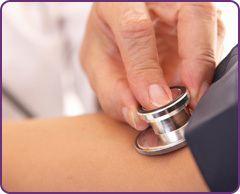 For a nominal fee, you receive a more comprehensive blood screening than is offered by health fairs or physical exams. Our extensive blood screening includes nearly 40 tests in hematology, chemistry and endocrinology, processed in a nationally recognized lab facility. Experts in medical concerns, nutrition, fitness, and mental health and stress issues are available for telemedicine and telephonic consultations. These professionals work individually with patients to offer the most comprehensive coaching experience possible. Our Preventive Care Model is the key component in providing targeted help to your members who need it most. Creative challenges for various levels and topics of wellness are available as monthly and quarterly options. Wellness Partners supplies all necessary enrollment and promotional material, manages participation, and distributes prizes. We distribute health education materials such as newsletters, posters, and emails to your participants on a regular basis. Wellness Partners stores and tracks all of your participants’ health information with strict confidentiality. This historical data retention allows us to generate individual year-to-year comparisons, making it easy to identify dangerous trends and notify participants when necessary. Services may vary based on your medical plan design, contact us to learn more.